I was stalking scrolling through Gal Meets Glam posts yesterday (honestly, isn't her style perfect? ), and came across the cutest blazer. It was from a website called Two Penny Blue. 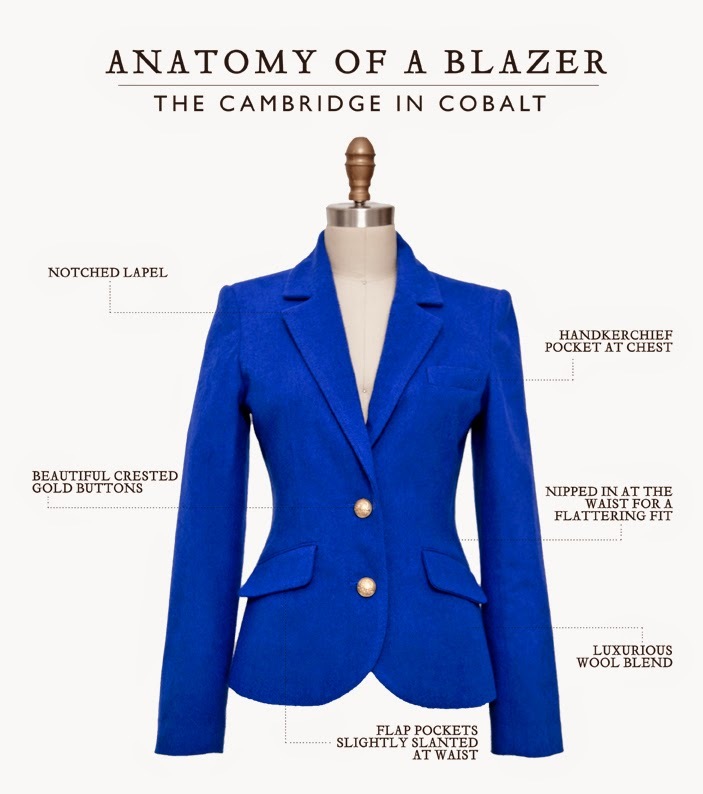 While the blazers are expensive (but oh so gorgeous), they are also empowering. Not just for the women wearing it, but because for each blazer purchased, a school uniform is donated to a girl in need in Africa. Upwards of 24 million girls are denied basic rights to education each year in Africa because they are unable to afford school uniforms. And if that's not reason enough to buy one, they are also designed and produced in New York City, so you can help abroad by buying locally (or close to) manufactured. But the best part, for you preppy followers out there, is that the jacket is monagramable! 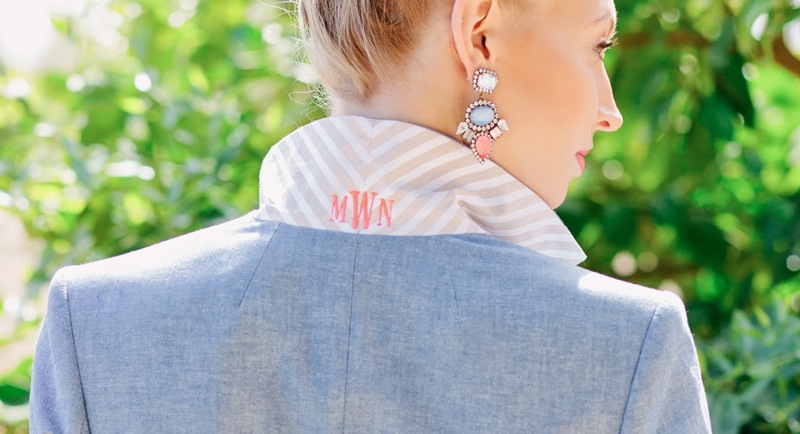 And the monograming is free, with the code Monogram14. Absolutely perfect. 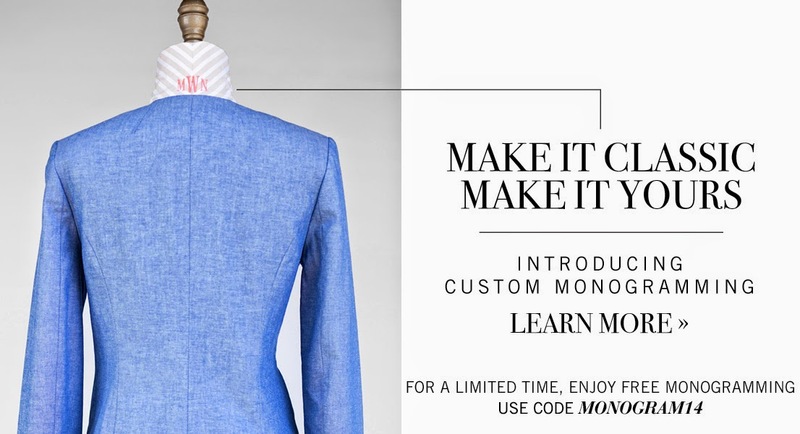 So, a tailored, monogrammed blazer that also helps someone in need? How can you say no? And don't forget, if you sign up here, you can take an extra 15% off your first purchase. * All photos and statistics taken from the Two Penny Blue website.